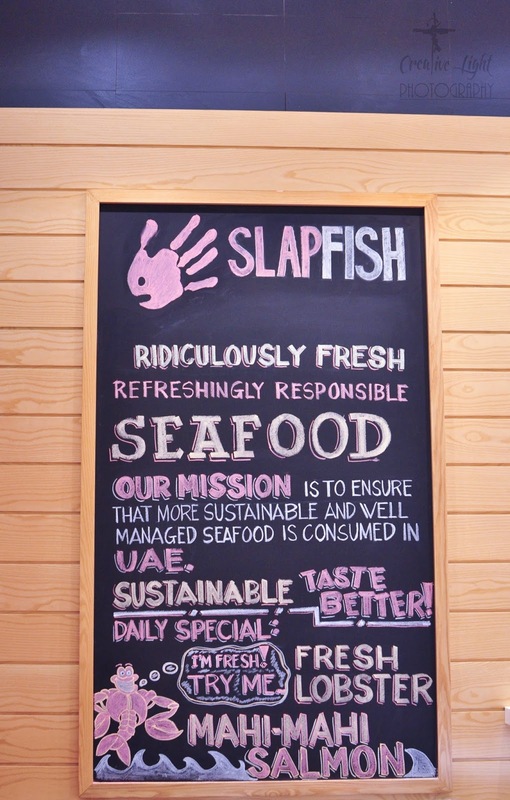 Having been to Ibn Battuta mall over the years, its great to see the new line of restaurants opened up here, Nestle Toll House, Flippin Pizza, Lemonade, etc but a few weeks ago one really got my attention with its bold red lighting - Slapfish. 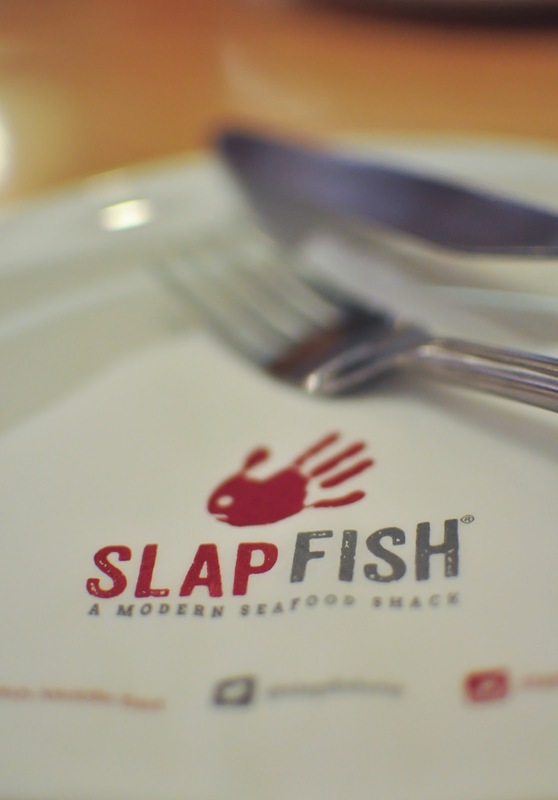 Based on the name and logo you know on entering Slapfish there will be well .. Fish! But it isnt your standard fish and chips shop, slapfish menu is really vast and covers a lot of the main seafood lovers (like me) dream dishes. From fish taco's to a barramundi burger, and chowder fries to a chocolate cake in a jar! Yes this place offers much more than just fish. 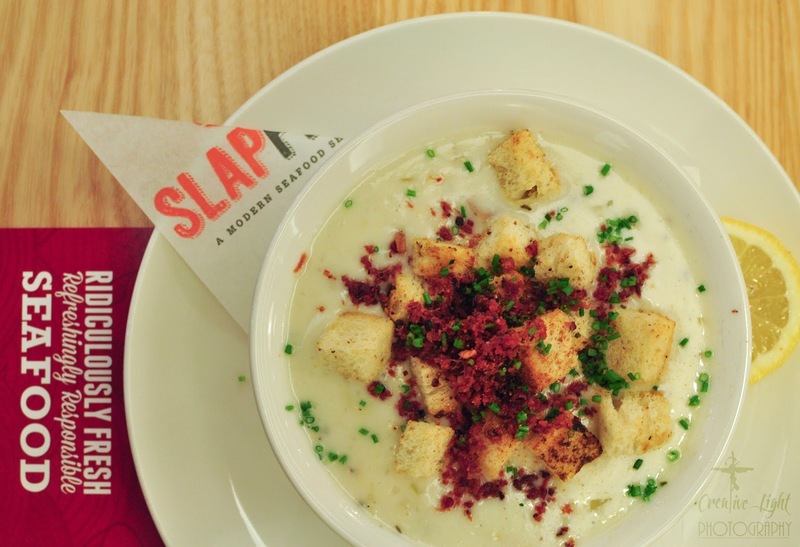 We were seated to our table only to find that for a weekday, Slapfish is quite crowded. We decided to start off with the cucumber fresca and a watermelon juice, the sweet potato tater tot's, clam chowder and the lobster toast. 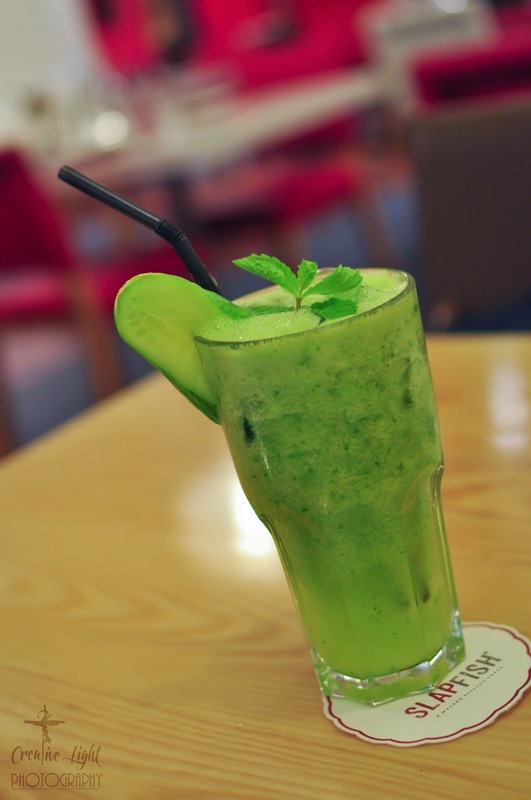 The drinks were so refreshing, cucumber wouldn't be my ideal drink however this worked surprisingly well! 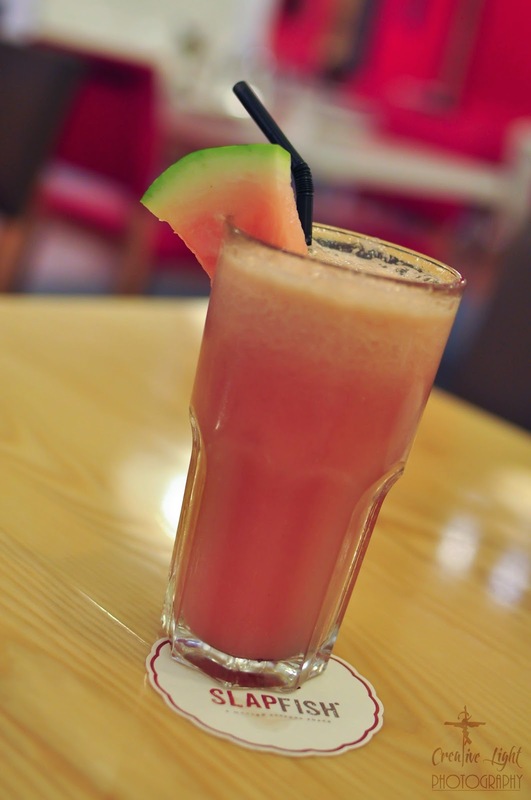 The watermelon too was fresh and no sugar was added which I always appreciate. 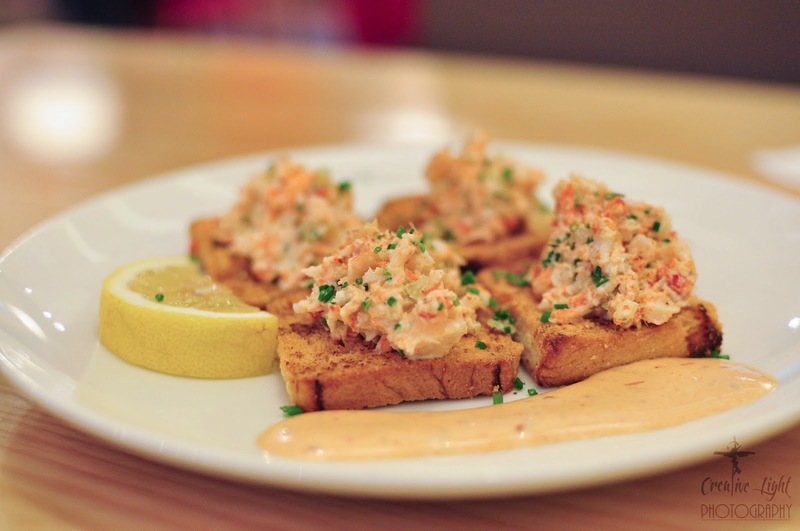 From the starters we loved the lobster toast, the crunchy bread topped with a cold smooth lobster topping, served in 4 this was the perfect way to get a sneak peak into our mains. 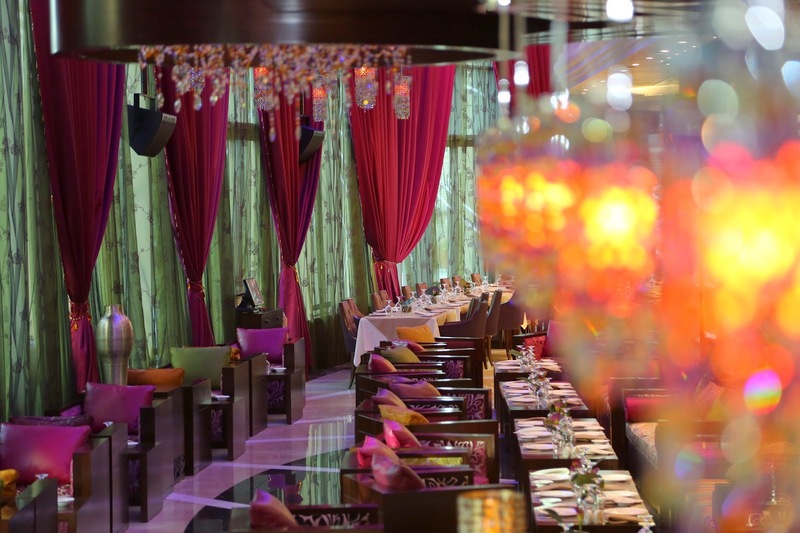 The clam chowder and the sweet potato tater tots were both unique as well not a common item in most Dubai menu's. 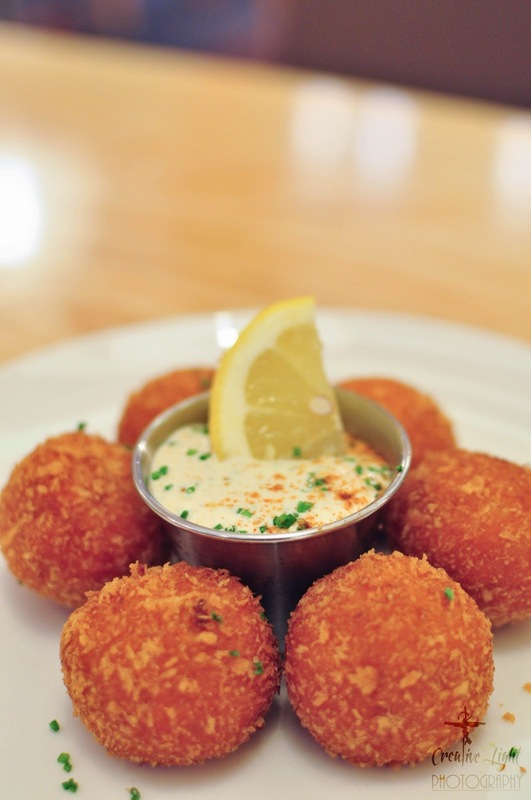 The tater tots is a healthier comfort food and was served with an amazing dip as well. 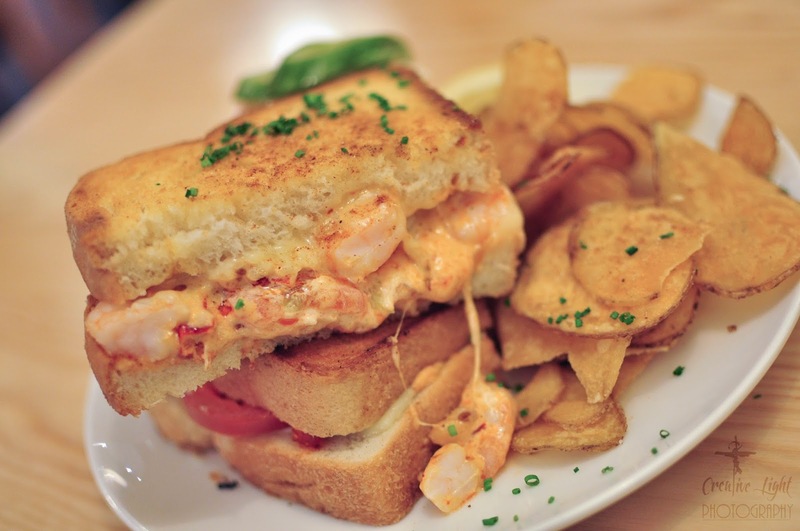 For the mains, we decided to get the fish taco's and the lobster cheese grill melt and the clobster cake. 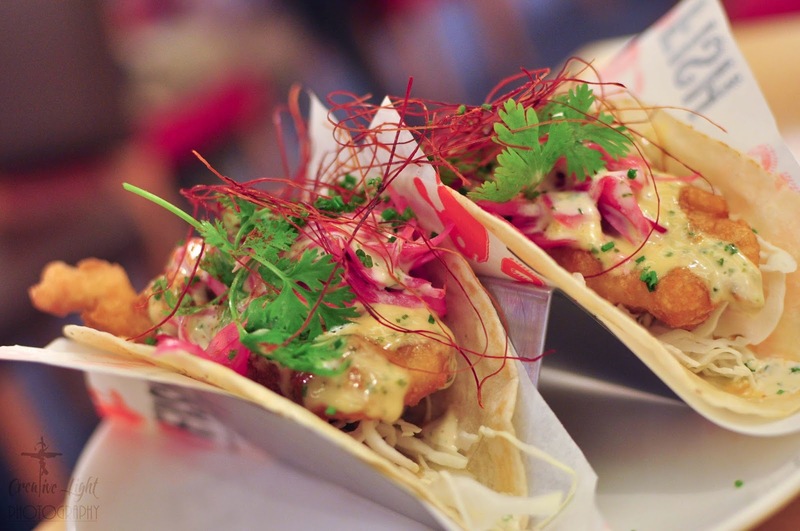 The fish taco was soft shell taco's loaded with battered fried fish which gave a crispy effect to the taco. The attention to detail in their taco blows you away. Each veggie get so thin you won't even recognize what you're eating - pickled onions, raddish and cabbage to name a few. 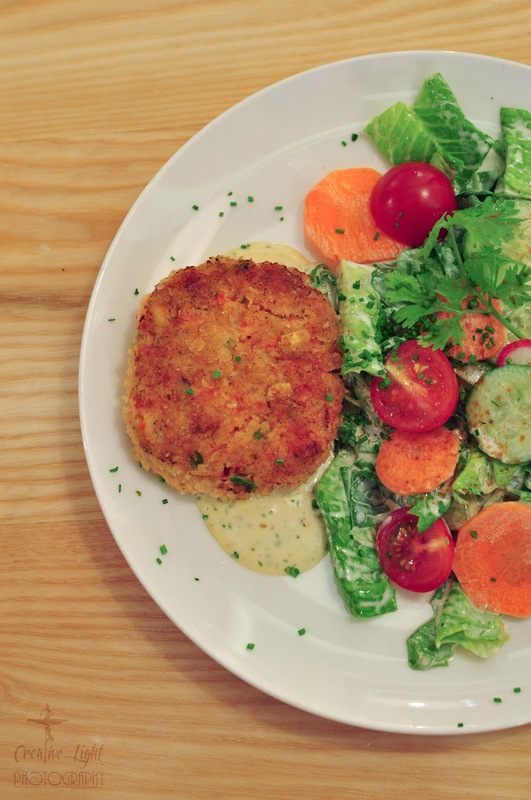 The clobster cake arrived looking like something out a TV show - the perfect pattie surrounded by a beautiful cluster of colour, the baby tomatoes, the green leaves, carrots - Perfect! 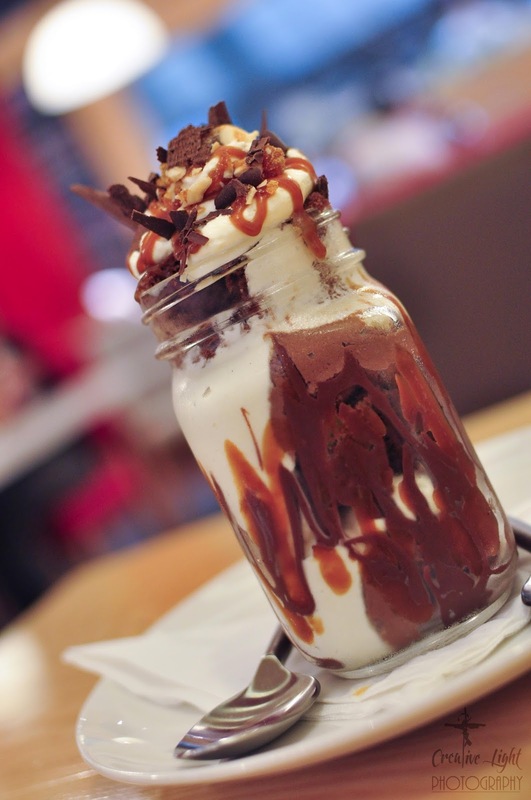 Just when we thought we couldn't take anymore, George the very polite and friendly manager insisted we try their very popular Chocolate cake in a jar finding the concept intriguing C and I decided to give it a go and now we know why its so popular! Chocolate cake mixed with chocolate mousse topped with light whipped cream and chocolate shavings. But for me the best part was the salted caramel - chewy and rich this dessert was a perfect ending to a fantastic dinner! Friendly and good service from our server - Anna and great (really great) food made dining at Slapfish something we're going to keep looking forward too.